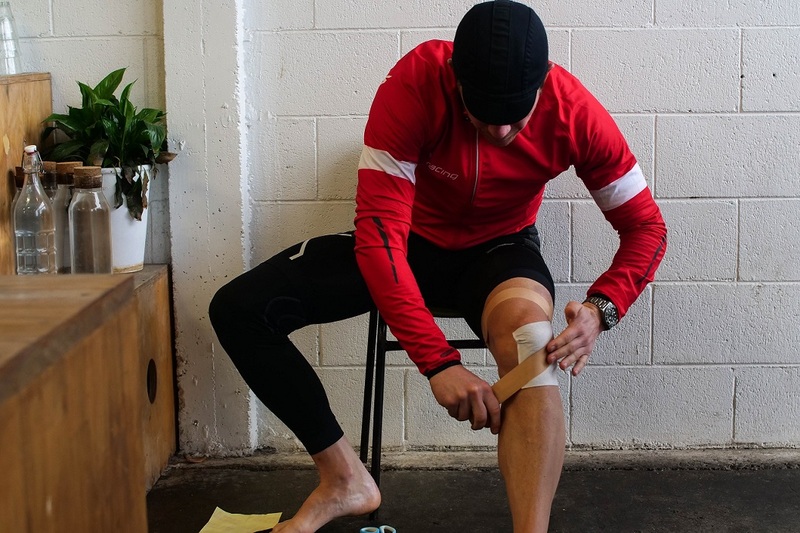 Bad weather and knee problems seem to be ongoing themes as Cam pushes on through the North Island. 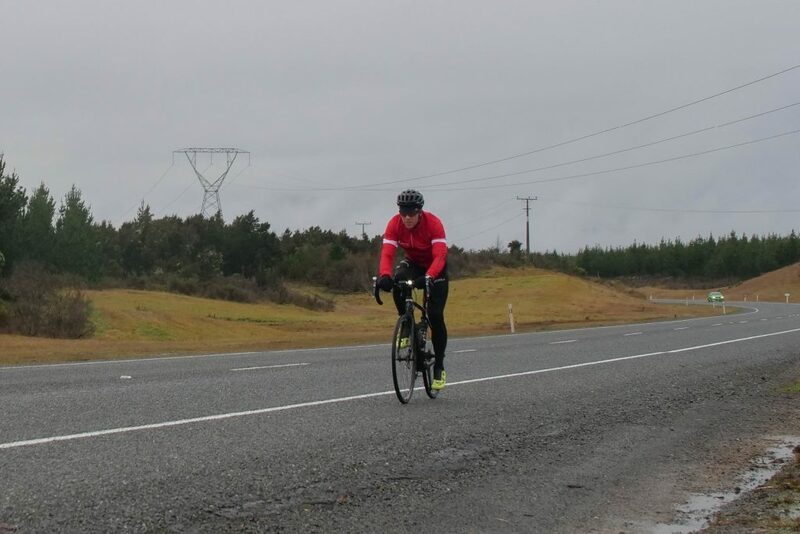 Today he covered 113 kilometres from Tokoroa to Turangi, with some much needed R&R time in between morning and afternoon. After riding in the rain all day yesterday I looked at the forecast as soon as I got to our motel room at 6:30 pm, praying to see no rain. The forecast said heavy rain all day. I woke up this morning and it was pouring. I started on my 200 kilometre journey from Tokoroa to Taihape. The rain was heavy and unrelenting. I was on Highway 1 again. Less trucks than right up north, but this time when they passed I was being drenched with water spray. At times the rain and spray was so heavy my visibility was nonexistent. Alice sat behind me in the car with the blinkers on, which made me feel safe. However the thought of continuing on Highway 1 for another 140 kilometres in those conditions was concerning, so we pulled in at Taupo and checked the weather. The heavy rain was forecast to change to afternoon showers, so I decided to wait and use some precious daytime time to treat my knee and legs. I had some quick lunch afterwards and I travelled as far as I could get given daylight, to a town called Turangi – 113 kilometres travelled all up today. I have the beauty of the Desert Highway on my doorstep tomorrow. Looks like I’ll get some rain, but not anywhere close to what it was today. I’m praying it clears so I get the snow capped mountains in the background while riding. I’m aiming for Palmerston North tomorrow, a 205-kilometre trip. While you’re here, through Ride the Long White Cloud we are aiming to raise $30,000 for CanTeen, who support young people with cancer. Please check out the campaign page if you’d like to support this great cause.